When most people think of fat, they think of what medical experts refer to as white fat, or the fat tissue in the body that stores calories. But we all have another kind of fat, with a completely different function: brown fat. "Until somewhat recently, we thought only babies had brown fat," says Dr. Xingxing Kong, a researcher who studies fat, or adipose tissue. "Then we discovered adults have some brown fat, too." Brown fat, the type of fat tissue that actually burns energy, is less familiar to those outside the medical field. But researchers are learning just how important it is. Kong, an assistant professor of pediatrics at UCLA Mattel Children's Hospital, believes brown fat may hold clues to better understanding metabolism. She and other researchers also suspect it could be targeted when it comes to potential interventions to combat obesity and type 2 diabetes – especially in children. Illustration courtesy of Dr. Xingxing Kong and her team. Recent studies have focused on the relationship between brown fat and muscle. Researchers know, for instance, that exercise can increase the amount of brown fat in our bodies. In breakthrough research published August 2018 in the journal Cell Metabolism, a team of scientists including Kong, then at Beth Israel Deaconess Medical Center in Boston, demonstrated for the first time the mechanism behind the other side of the relationship: how brown fat influences muscle function. Brown fat can burn calories and produce heat, a process called thermogenesis. Our risk for weight gain and obesity increases when we experience issues with thermogenesis. 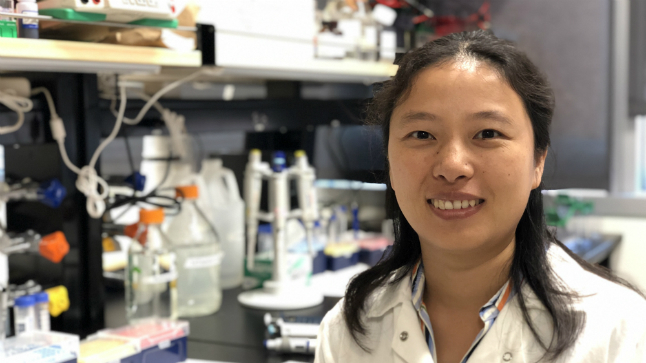 In the Cell Metabolism study, Kong and the research team found that when mice lacked a particular gene that regulates thermogenesis, their ability to exercise was hampered. In such mice, the researchers also discovered that the hormone myostatin, which inhibits muscle growth, increased. 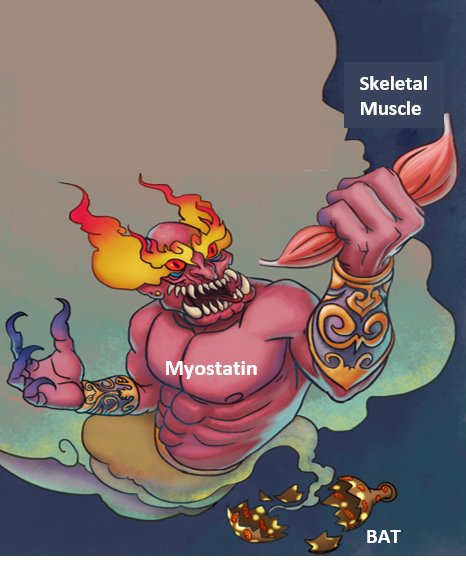 Myostatin, and its relationship with brown fat, presents an important avenue for further research. Myostatin levels are higher in those with obesity or type 2 diabetes. Animals that lack myostatin – or are treated with substances that block its activity – have significantly more muscle mass and lower levels of white fat. If the discoveries of Kong's team are found to be consistent in humans, the findings would change the way we understand weight gain. “Our study of fat tissue will give us critical knowledge about metabolism," says Kong. 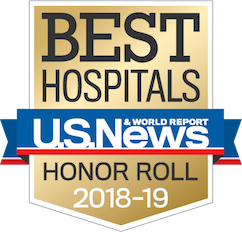 "Our hope is that such insights could be harnessed to produce therapies for the fight against obesity and type 2 diabetes."